Next Week is THE Week & 3 Fabulous Cards! Hello and Happy Friday! Are you ready for the weekend? We sure are. We have spent all of this week getting ready for our new release next Thursday, June 4th. 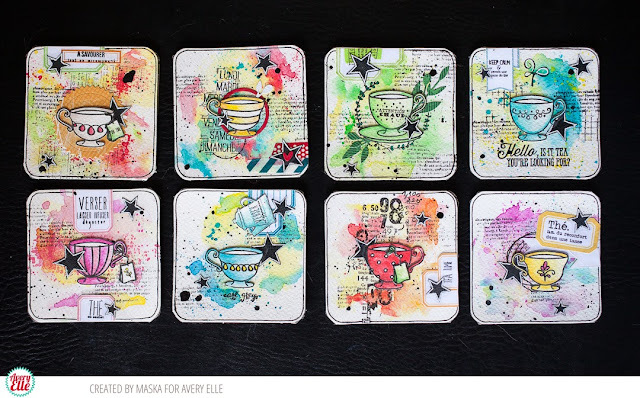 We can finally start showing you the 12 new stamp sets and 22 new dies sets starting next Monday! Woo Hoo! 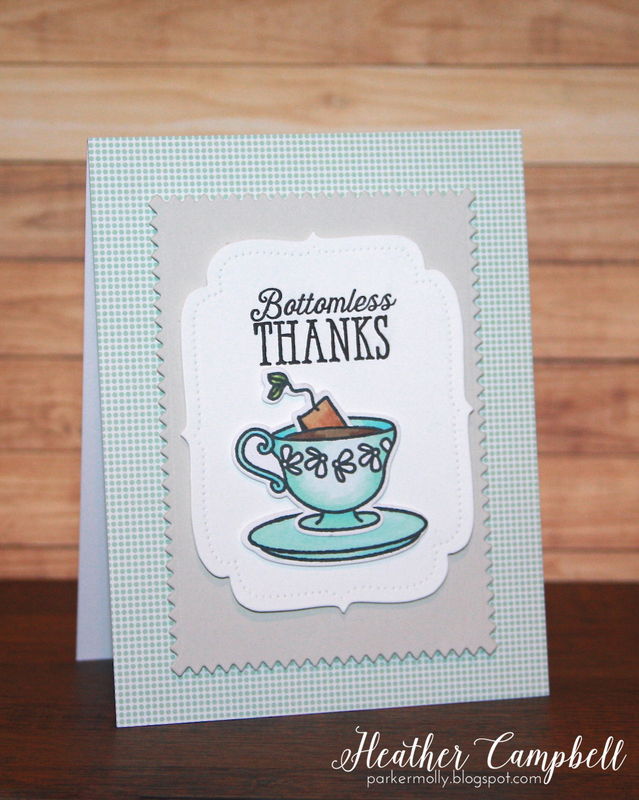 In the meantime, why don't I share three cards from some of our fabulous Design Team Members! Katie created this first card using our Ellie stamps and dies, patterned paper from our Sorbet Collection Paper Pad and our Dotted Borders Elle-ments die all on a Caribbean A2 Top Folding Note Card. I love how simple yet adorable this is! 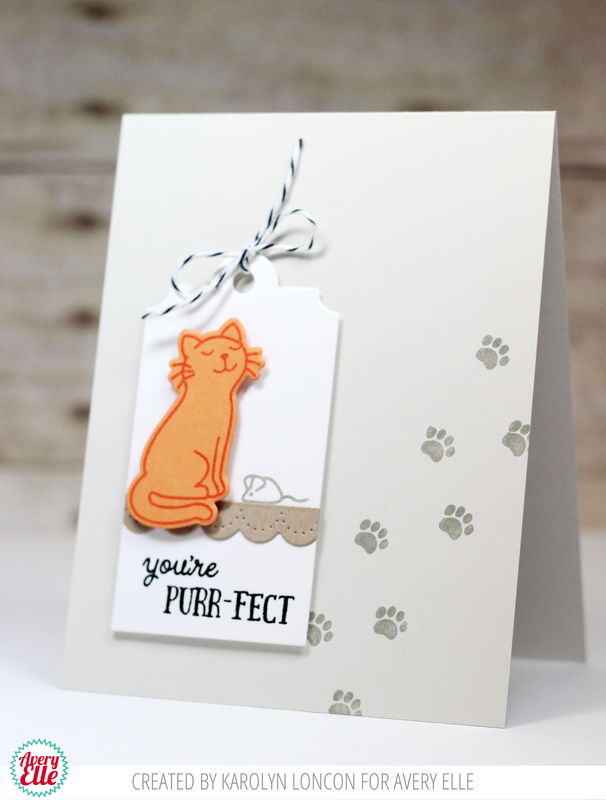 Karolyn used our Furry Friends stamp & die set, our Gift Tags dies, our Dotted Borders dies, New Moon, Fog, Papaya Ink and a Silver Fox A2 Top Folding Note Card to create this next cute card. I love how the paw prints trail along the card base! Too cute! Heather created this last card using our Homemade stamps and dies, Finished Frames dies, flowers from This Book and a sentiment from our Oh Baby stamp set. This is such a great non-traditional baby card. I love how sweet this is. Thanks so much Katie, Karolyn and Heather for sharing with us today. Thank you for stopping by to take a peek! 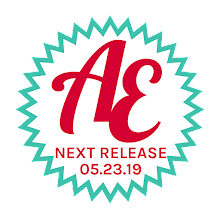 I hope to see you Monday for our Summer Release previews! Have a great weekend! Aloha! 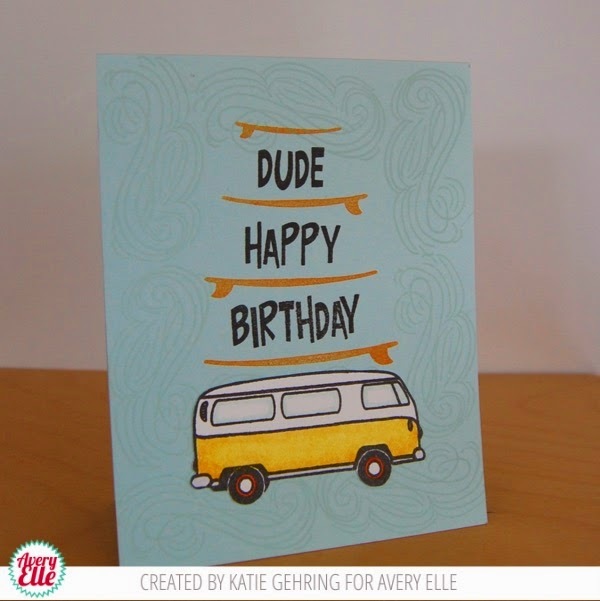 Today is a special day here on the Avery Elle blog. On the first Thursday of each month we will be featuring a previously released product of ours in a #TBT post. Now we know that this isn't the first Thursday of the month but next Thursday will be our new release of 12 stamps and 22 dies! We can't wait to share previews with you starting next Monday! We are having a fun giveaway today so be sure to read all the way to the bottom of this post. This month we are featuring our Surf's Up Stamp Set. 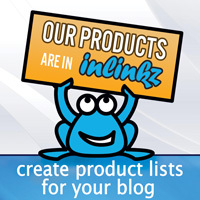 Just check out the amazing projects!! 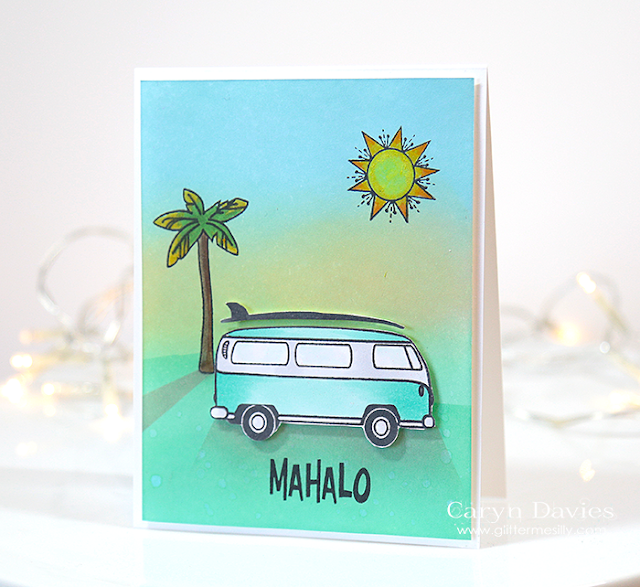 We love the inking and shadows that Caryn created in this first card! It is so lovely! 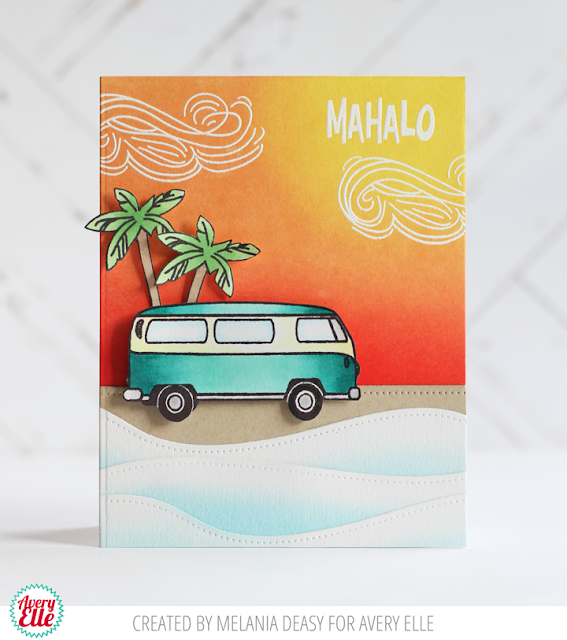 Melania used our Dotted Borders Dies with our Surf's Up set to create sand dunes on this gorgeous card! I love the white wispy clouds. 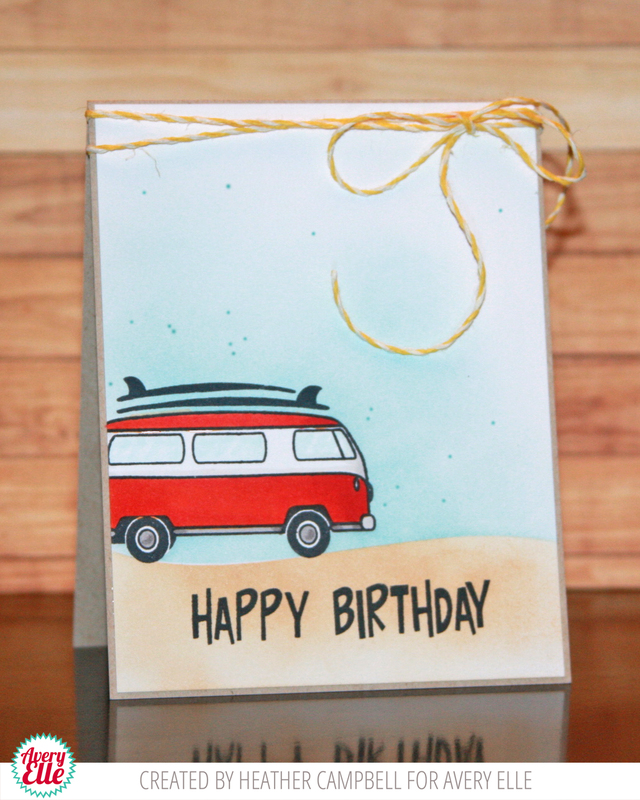 We love the way Katie stacked the sentiments and surfboards to create a fun birthday card! Heather created a fun retro look with this last card! I love all of the depth that she created on this single layer card! It's giveaway time! Comment on this blog post between now and Midnight EST on Sunday, May 31st, 2015 and tell us what your plans are for this summer. One lucky person will win a Surf's Up stamp set. You must be 18 years or older to enter to win. 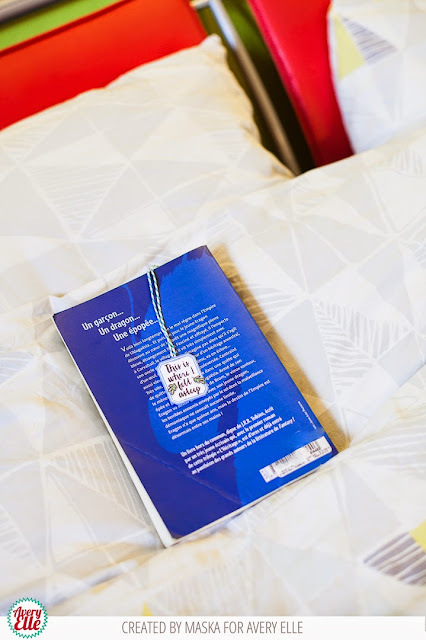 We will announce the winner here on the blog on Monday, June 1st. Thank you Katie, Melania, Heather and Caryn for the amazing inspiration today. Thank YOU for stopping by to take a peek. Have a great day! I have loads of inspiration to share with you today! 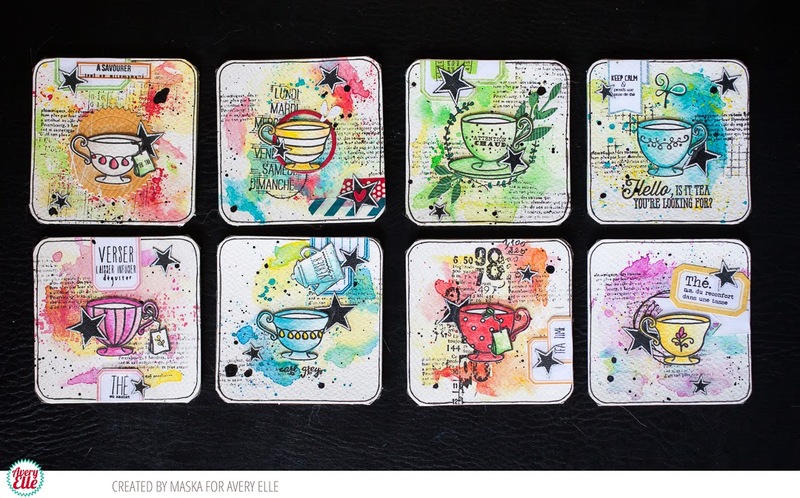 Maska created a cute coaster set using our Tea Time stamp set and dies. I just love how colorful and fun these are!! The different cups look so cute lined up! 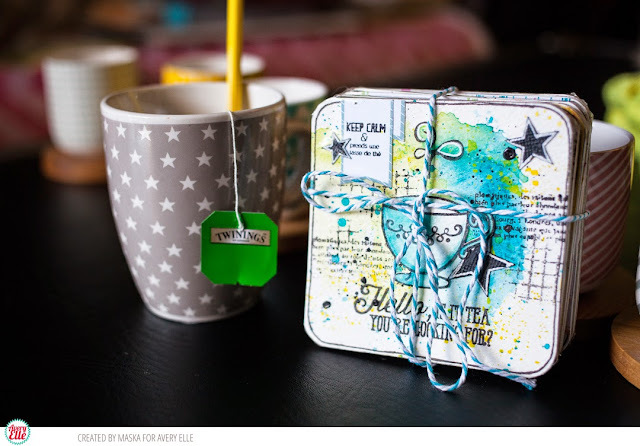 JJ created a card using the same Tea Time stamp set and added Alice from our Alice & Friends stamp set popping out of the cup. This is just so cute and coordinates with the sentiment perfectly! 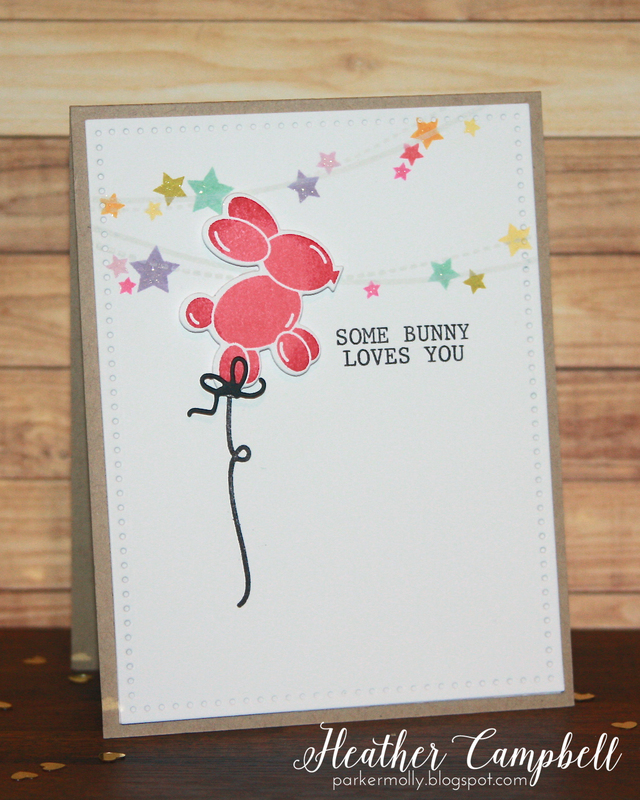 JJ also created this next card using our Party Bunny and Balloon dies and a sentiment from our Cake & Candles stamp set. I love how she added the detail with a white gel pen. This is a fantastic way to get even more use out of these dies! Thanks JJ & Maska for sharing with us today. Thank YOU for stopping by to take a peek. Have a great day! Hello. Today I have four amazing projects to share with you and some news. This first card by Chunyuan Wu is so pretty. 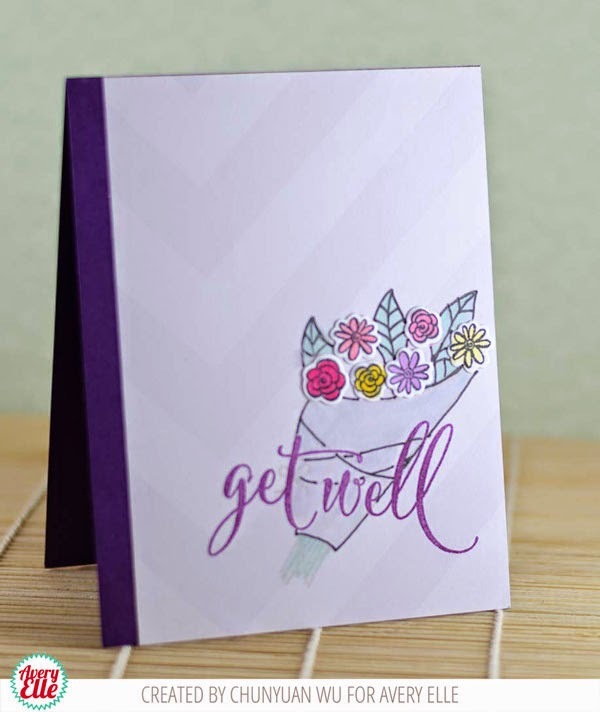 I love the way she paper pieced the bouquet image from our Get Well stamp set on top of patterned paper from our Zen Collection. Isn't it pretty? It just love it. 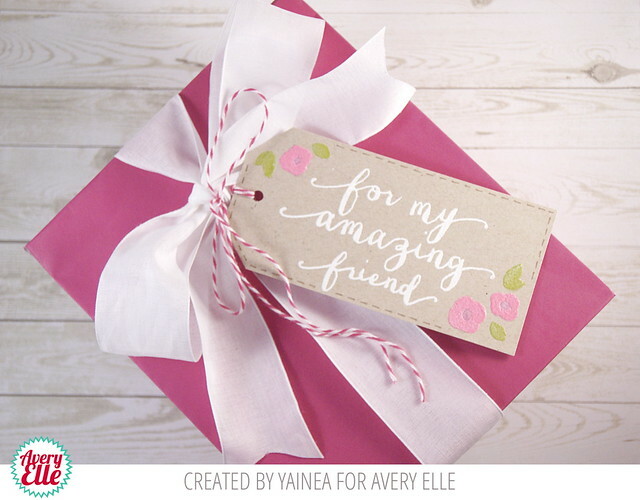 Sadly, this is Chunyuan's last post for the Avery Elle Design Team. I will always be so grateful that she took a chance on Avery Elle almost three years ago when no one had heard of us and we had just 4 stamp sets. I am so lucky to have been able to work with her these last three years and wish her nothing but the best. Be sure to follow her over on her blog, www.dahliamemories.blogspot.com to see what she will be up to next!! Thank you Chunyuan for everything! Melania Deasy created this next card and bookmark using our This Book stamp set, Bookmark die set, Elle's Alphas Clear Stamps, Laurel Clear Stamps, and Alice & Friends Clear Stamps ( the ribbon ). I just love how adorable these owls look on top of the stack of books and that ink shading is simply gorgeous! 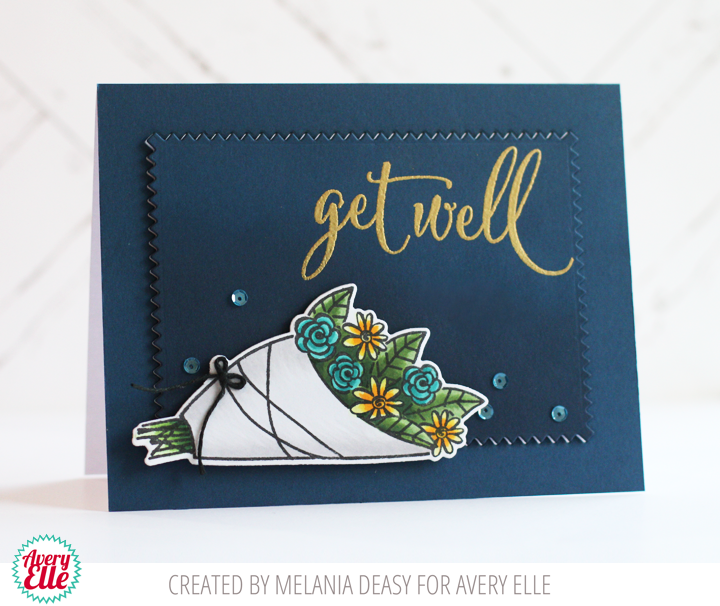 Melania also created this next card using our Get Well stamp and die set, Pinked Elle-ments dies, and a Caribbean Collection A2 Folded Card. I just love how the yellow, blues, gold and green pop against the navy background! Thanks Chunyuan and Melania for sharing with us today. Thank YOU for stopping by to take a peek. Have a great day! Hello! I have two great purple cards by Caryn and Yainea to share with you today. Caryn created this first card using our Amazing stamp set, Furry Friends stamps and dies, our Royal Collection Top Folding note card and our Jewel Collection patterned paper pad. I love how fun and cute this is! 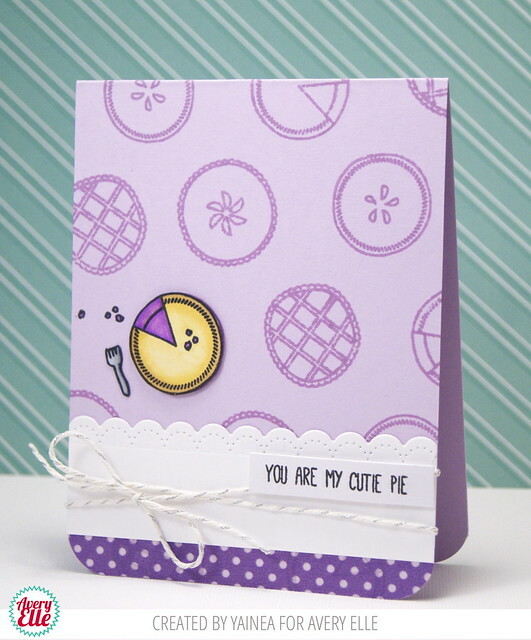 Yainea used our Humble Pie stamp set , Royal Collection Top Folding note card and Dotted Borders die to create this next super cute card. I love the coloring and the custom pie background that she created! Thanks Yainea and Caryn for sharing today. Thank YOU for stopping by to take a peek. Have a great day! Hello and Happy Friday! I have some really clever cards to share today. 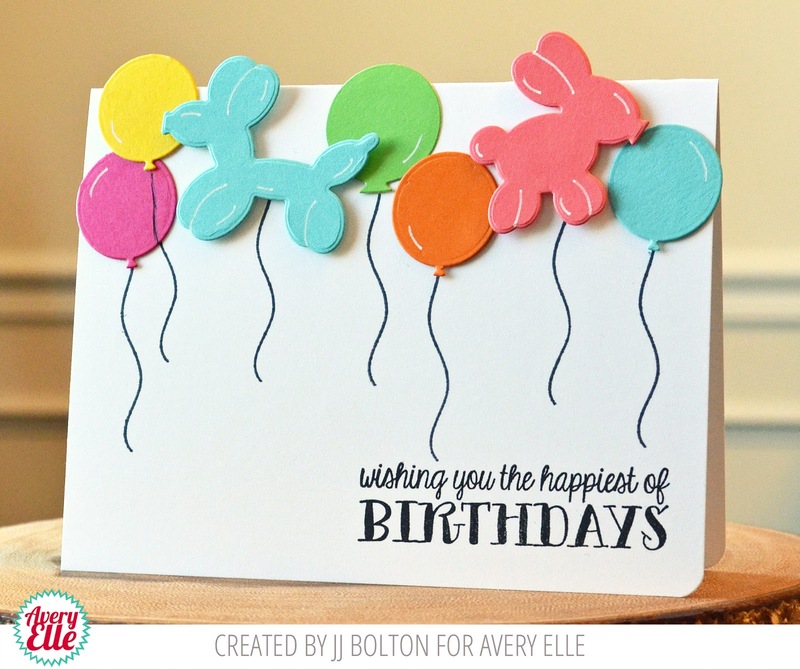 Karolyn created this next card using our Numbered Balloons dies, Circle It stamps and Dotted Borders dies. 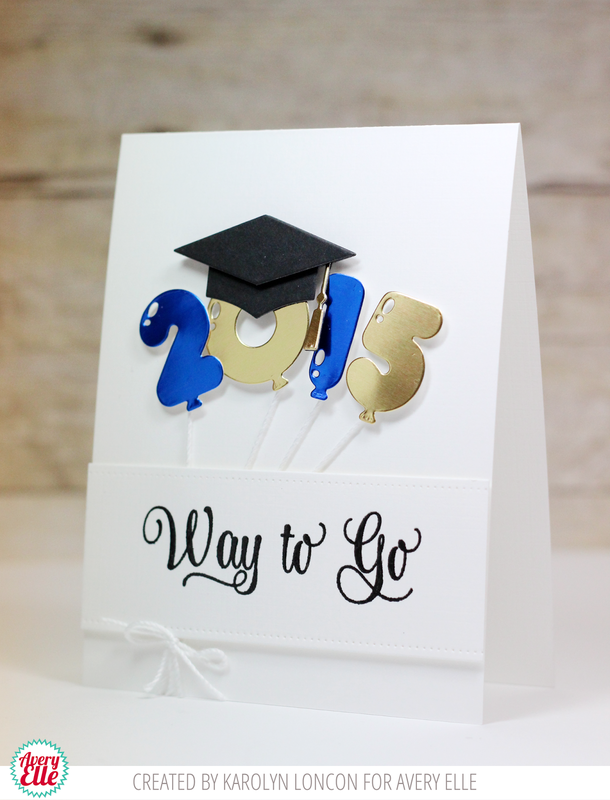 Isn't this the most adorable idea for a graduation card?! I love it! Thanks so much Karolyn and Katie for the inspiration today. Thank YOU for stopping by to take a peek. Have a great day! Hello! I am sharing a cute card by Heather today. Heather created this card using our Party Bunny stamps and dies, Dotted dies, Bunting stamps and a Kraft A2 Top Folding Note Card. I love how fun, festive and cute this is!! Thanks Heather for sharing! Thank YOU for stopping by to take a peek. Have a great day! Happy Wednesday! 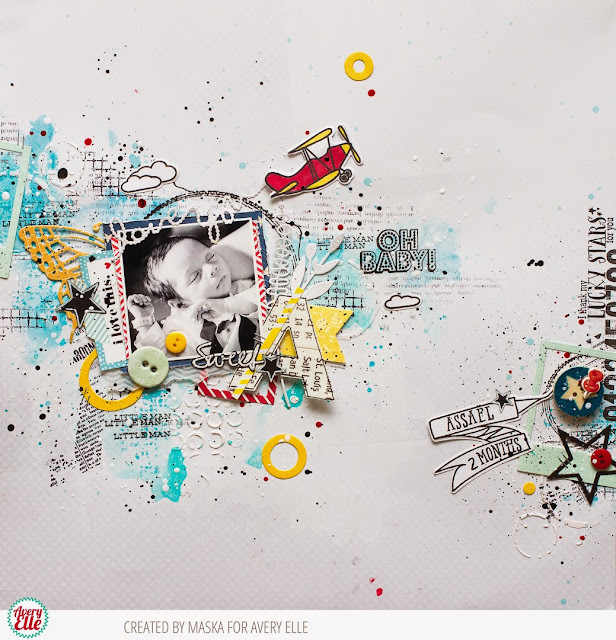 I am popping in to share a Fly By project that Maska created. 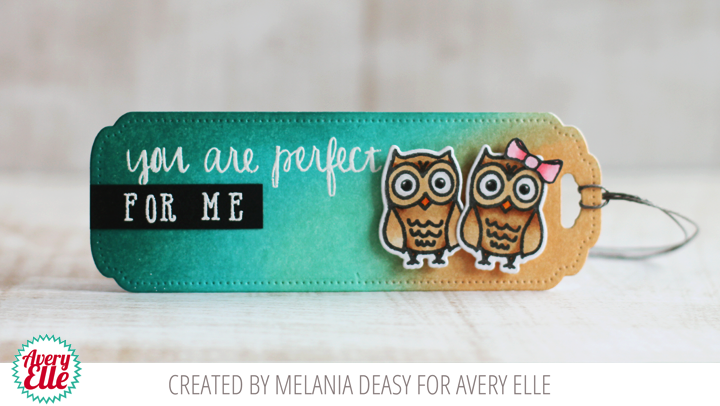 I love how she combined the sentiments from our Oh Baby stamp set and used our Elle's Alphas stamps to document Assael's age on this adorable page. It is just fantastic! Thanks Maska for sharing. Thank YOU for stopping by to take a peek. Have a great day! Hi everyone! 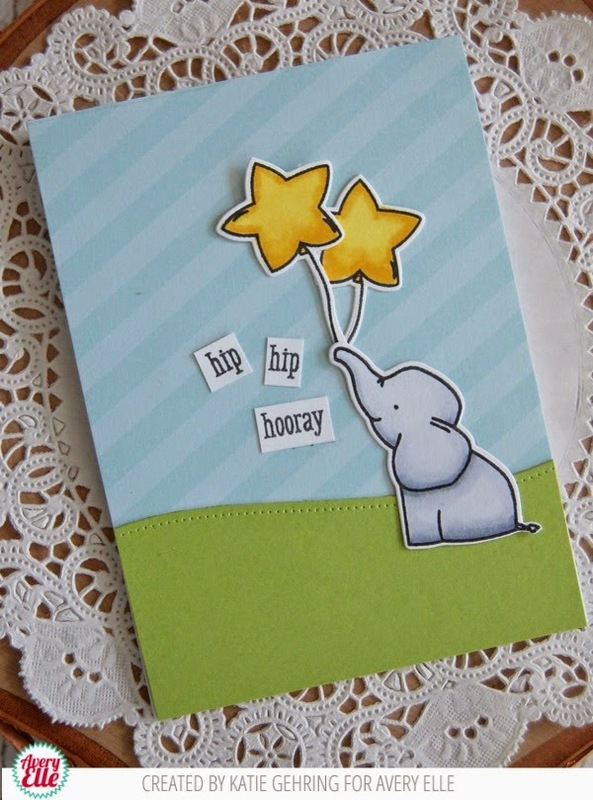 Check out the *super* cute card that I am sharing today. Chunyuan used our Super stamps and dies along with patterned papers from our Everyday and Neutral collections to create this first card. What a fun combination of colors and patterns! Thanks Chunyuan for sharing with us today. Thank YOU for stopping by to take a peek. Have a great day! Furry Friends & Amazing Inspiration! Hello! I have three great projects to share with you today. 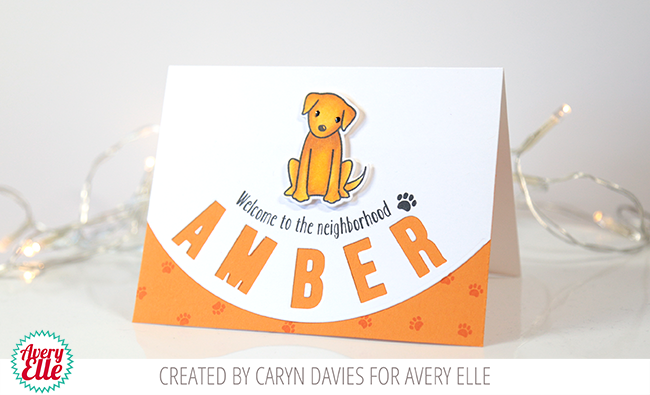 Caryn created this first card using our Furry Friends stamps and dies, Custom Panels dies, Home Sweet Home stamps and Avery's Alpha dies. I love how she curved the letters in the name to match the die cut curve. What a cute way to congratulate someone on the adoption of a new pet!! I love this idea! 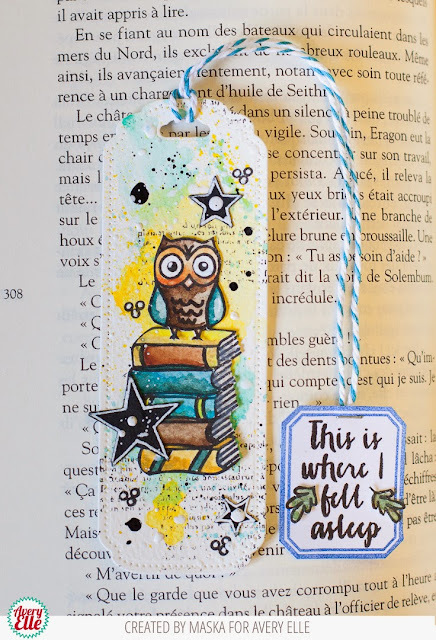 Yainea used our Amazing stamps along with the cute flowers from our Oh Happy Day stamp set to create this delightful tag. I love how pretty this package is! 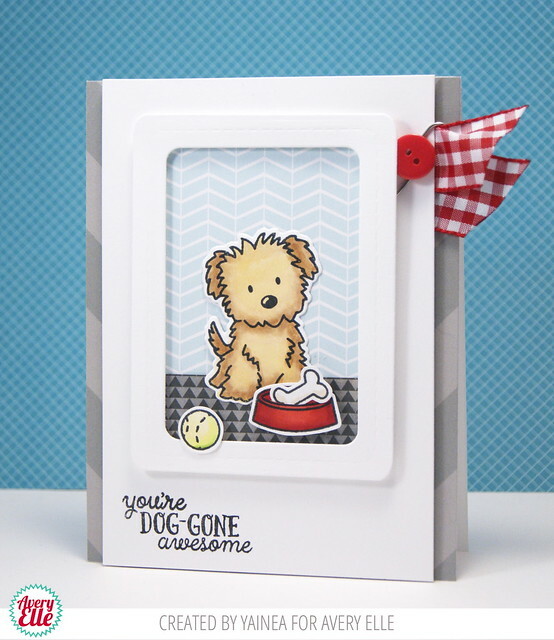 Yainea created this next card using our Furry Friends stamps and dies, We R Family dies, and patterned paper from our Everyday and Neutral paper pads. I love this SO much! Hello and Happy Friday! We have two cards for you today. Katie created this first card using our Party Bunny stamps, Balloons stamps and dies, Sending You stamps, and patterned paper from our Jewel Collection. I love the idea of the party bunny balloon inside a larger balloon. This is SO clever! 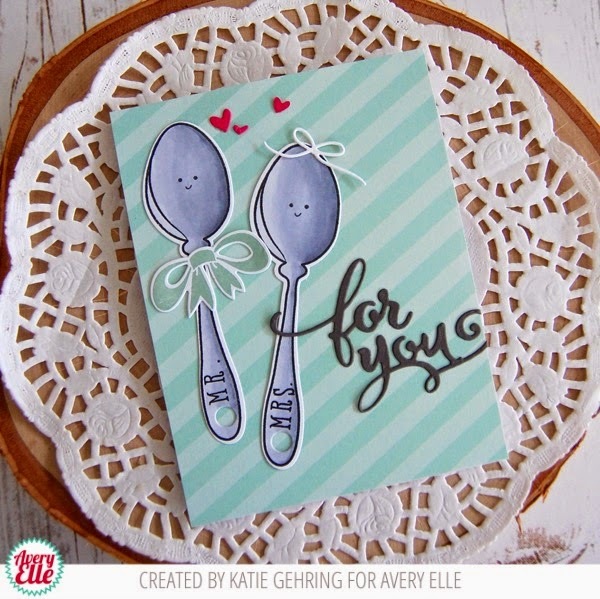 Karolyn used our Get Well stamps and dies and Dotted Borders dies to create this next card. 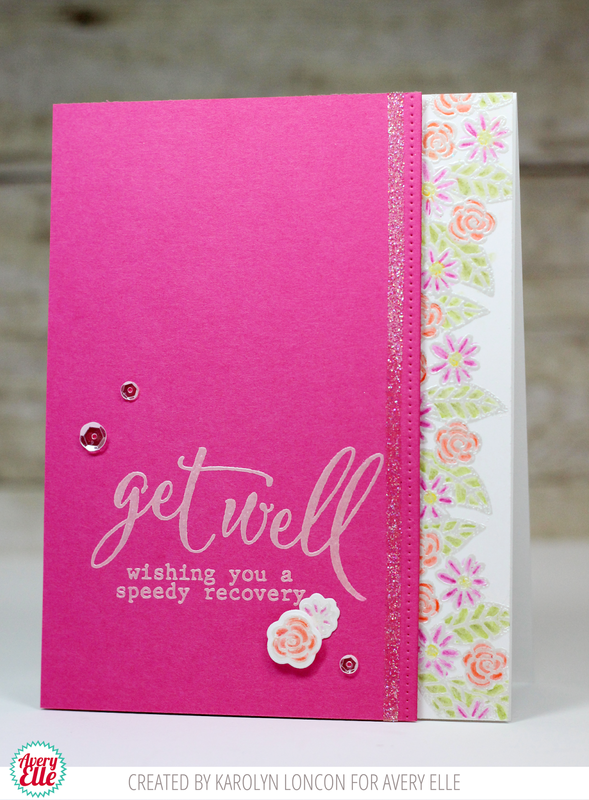 I love how the tiny clusters of flowers are peeking out behind the pink card stock. This is just so pretty! Thanks so much Katie and Karolyn for sharing with us today. Thank YOU for stopping by to take a peek. Have a great day! Today I have FOUR great cards to share with you. I just love this first card by JJ. 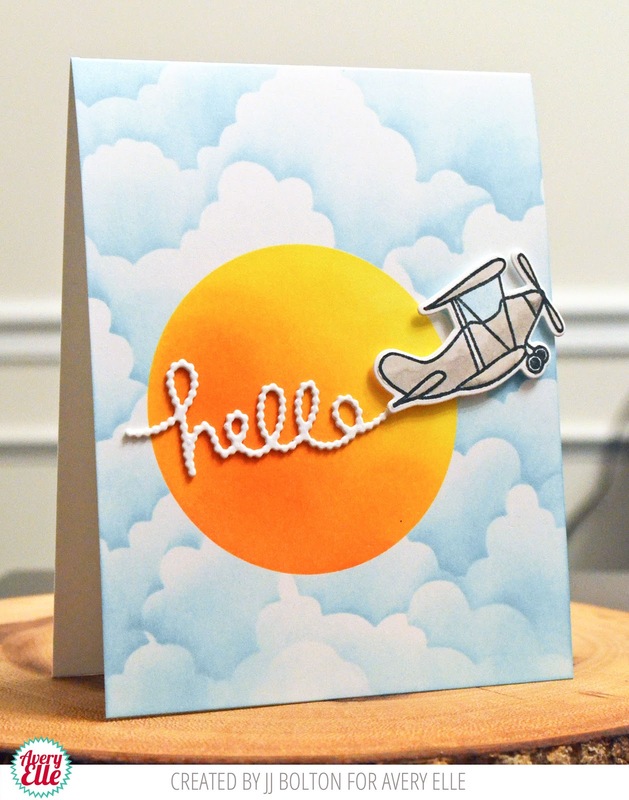 The plane and skywriting from our Fly By stamp and die set in front of that sky is so fun! 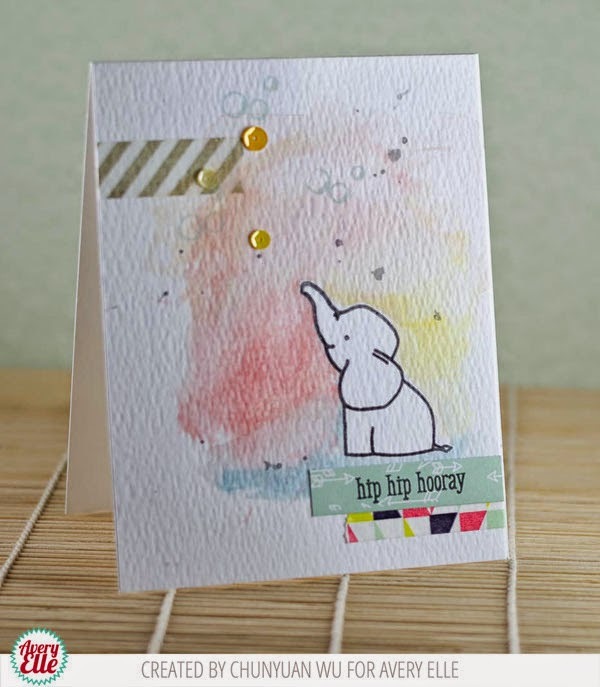 JJ created this next card using our This Book stamp set. I love that little owl peeking out! 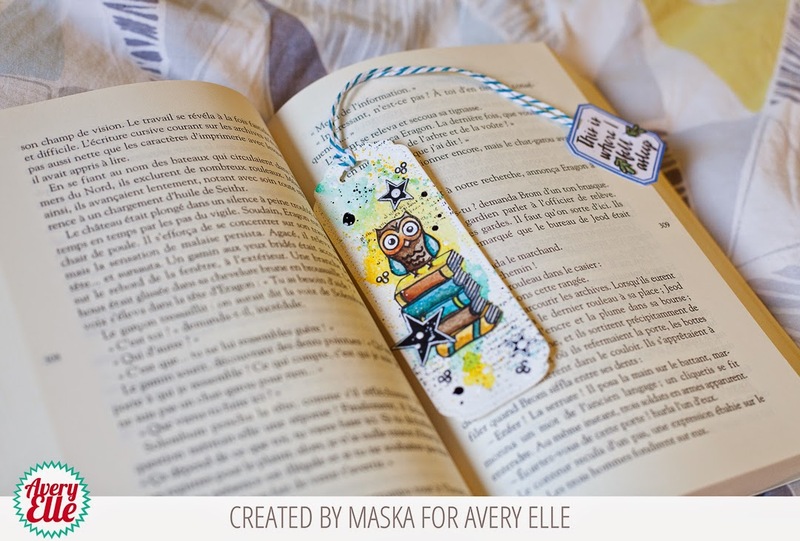 I also love how JJ personalized this bookmark using our Avery's Alphas dies, Bookmark die and patterned paper from our The Brights Collection. What a great gift set! 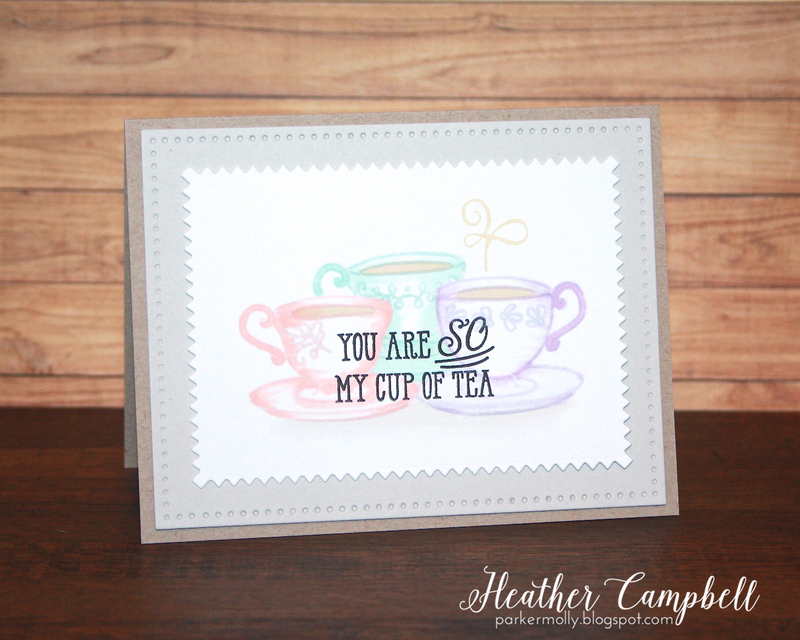 Heather used our Tea Time stamps and dies to create these next two cards. Our You're Invited die, Pinked die and patterned paper from our Everyday Collection on the first card look great layered together! 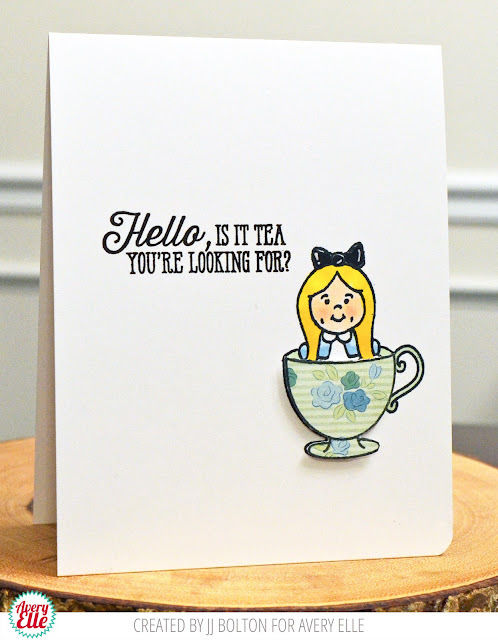 With a bit of masking Heather was able to create a softer feel using Tea Time with our Pinked and Dotted dies. I love it! Thanks for sharing Heather and JJ. You guys rock! Thank YOU for stopping by to take a peek. Have a great day! Hello and Happy Wednesday! I hope that you are having a great week so far! Today I have a fun project to share with you. Maska, in her usual fun and layered style, create this fantastic bookmark using our Bookmark Die and This Book stamp set. Isn't it just the cutest? I love all of the splatters and tiny details! Thanks Maska for sharing today! Thank YOU for stopping by to take a peek. Have a great day! Hello. I have the pleasure of sharing two fun cards from our AMAZING design team with you today. 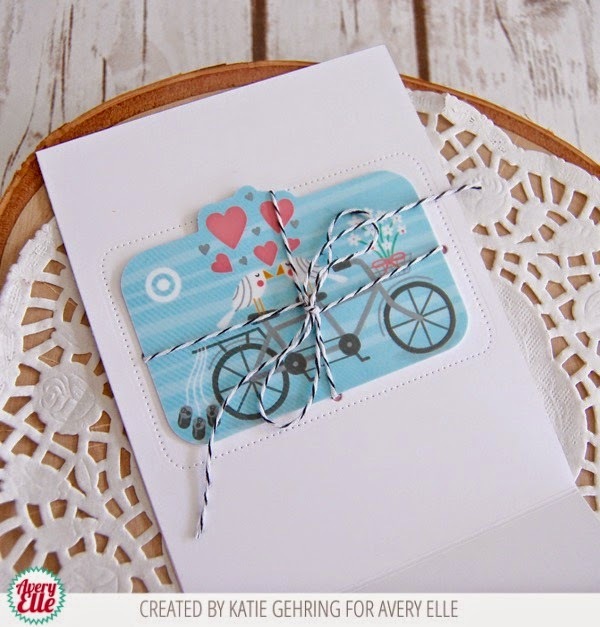 Chunyuan Wu used our Ellie stamps and patterned paper from our Everyday Collection to create this first card. I love the way Chunyuan left the cute elephant white and placed watercolors around it. It is such a clever way to highlight the image! 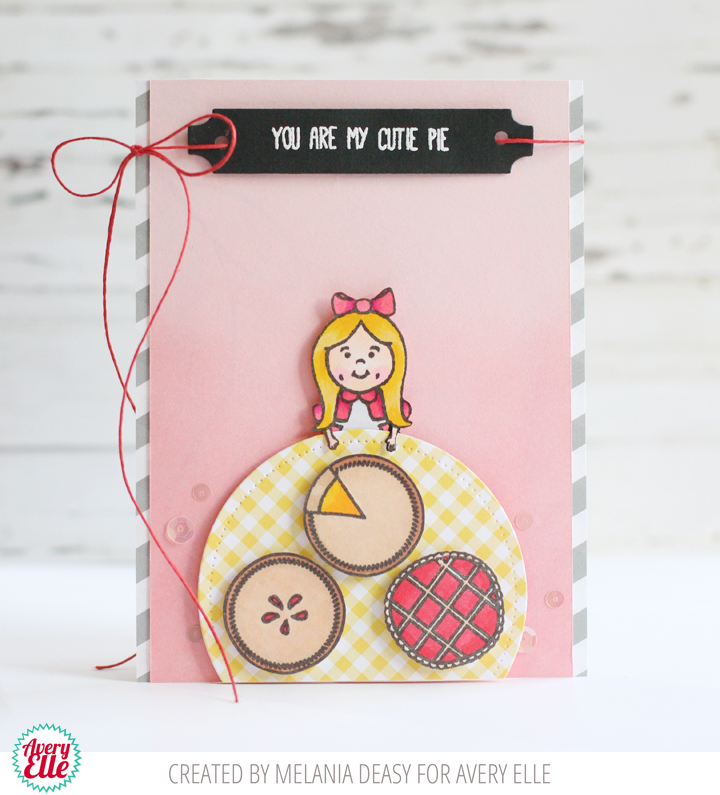 Melania Deasy used our Humble Pie stamp set, The Sugar Collection A2 Folded Cards, The Neutral Collection Paper Pad, The Everyday Collection Paper Pad, Custom Panels Ellements, Circle Tag Ellements, and Alice & Friends Clear Stamps to create this next card. I just love the idea of little Alice eating all of these pies! This is just too too cute!